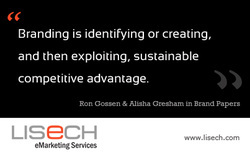 As an e Marketing and branding company our job is first and foremost to increase the value of any business. In rare cases this also includes businesses who don't have an online presence. Invest Plus is what I am recommending today, here is why. It is a simple to use rewards program, which can be used by almost any business. It is currently being used by some one man operations in sales locations, where access to the internet does not exist. All you have to be capable of doing is writing out a receipt. You do however have to have access to a computer or smart phone at some point in time to let Invest Plus know whom to pay. 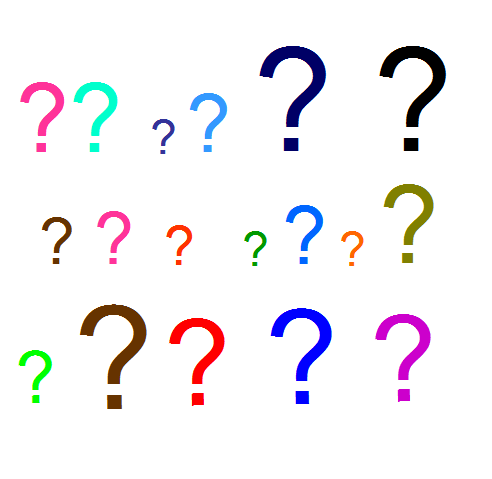 Why does Lisech eMarketing offer it? The most important reason is it doesn't require us to give special pricing. In the case of many businesses the profit margin isn't there to offer half off, or the monthly fees others charge for rewards programs to gain a new customer. 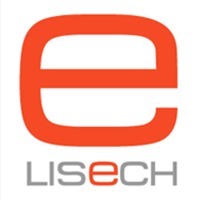 Lisech eMarketing uses specialists in four areas, for both consulting and brand creation. This means the profit margin is very low. In everything Lisech does we want to offer the best services possible for our customers at a price which is competitive with companies who use a single person for brand creation or consulting. No one person knows everything. In our case the specialists are generational. This means input from people decades apart in age. Most reward systems have little real value. Sometimes the perceived value is high, however when redeemed the customer has to pay something out of their pocket. These are better than nothing so are gladly accepted. Their focus is more likely to keep existing customers happy than attract new ones. If you decide to offer rewards you would not want to offer something that did not work. Neither would you want to give your customers false hope. In this case even if the tokens lose all their value, your customer doesn't lose. This is because they are paid a daily dividend. Invest plus is a remarkable and unique rewards system that will dramatically improve the sales of any business. Through our system we reward your customers up to the full value of what they spend. This is done with tokens. To contrast, these are unlike any other known token, digital currency, or Crypto currency, currently in existence. They have a real intrinsic value. So far they are the only ones you will likely find, which are underpinned with earnings in real world currencies and also pay dividends. When using it, the more the your customer spends the more they save! Yes, their rewards may go down in value, that is unlikely though as we are at the beginning of a huge global expansion program. The forecast is there will be a billion members within three years. Existing history, actuary tables, and logic, tell us that it is most likely the customers reward will gain in value. Chances are very high your customer will not only get the purchase price back, they will most likely make a profit. Are there any downsides for the merchant? Your aim is to bring on more business, the cost to you would be .5% - 5% whatever your profit margin allows. If your profit margin allows 5% has to be the optimum. What must be considered here is the psychological impact of the whole of the purchase price being recovered. I am sure you would agree that you would attract many more customers if you advertised that you were returning to every customer the whole price of their purchase over a year period. Any retailer who does not collect customer details at present will have the details of everyone redeeming their rewards. The system is transparently GDPR compliant. This gives you a new potential for newsletters, special offers, etc. The parent program has a global Ecosystem with 6 levels, any of your customers will fall on the first level. Some of those are likely to have their own businesses. As they collect their rewards they will realize that they can also be offering Invest Plus to their customers. These would then fall on your second level and so on. Through this process an ever increasing amount of people and income will flow back to you, and this in time is likely to far exceed the small percentage you are paying. You may be wondering is how with your cost being just .05% to 5%, how Invest Plus can reward your clients with 100% of what they spend? The percentage we receive goes towards the underpin and dividend payments,.. We are not paying your customers. Their token rewards are being bought by our ever increasing membership. Many as well, aren't going to sell when they realize they are receiving dividend payments. The smart ones will be holding them as a nest egg for retirement. Mentors will be available to help at no cost to you. In cases where companies have a large customer base, you can even have a mentor show up in person to make sure everything is properly set up. Although this idea was started in 2008 it took technology until a short while ago to make it possible. Many of the original investors put money in starting in 2009. The small investors have been working towards today since 2009. It has already been in operation for around two years. The parent is a decentralized system overseen by a foundation. Small investors are the owners of the Invest Plus application. These original and other newer small investors are also the buyers of the tokens. No one holds enough tokens to make the prices bottom out. There is no futures market. You can see here that there are huge benefits for both for your marketing and your customers with no downsides, it really is a Win Win situation. The two links, one above and one here lead to the trust account for the Lisech cause. If you register though the links the trust is likely to gain a small percentage from your use. It also is a small investor in Invest Plus. This investment pays a daily dividend. Yes, the trust owns tokens too, so if the value goes up because of your use, the trust will gain from that as well. ©November 29, 2018 2:00 AM CST Dennis Thorgesen for Lisech eMarketing, All rights reserved.